The smoke of White Widow is very smooth. Its production of THC is 21% with very low CBD at 0.04%. 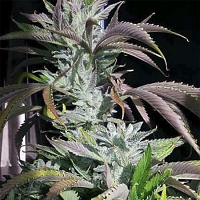 White Widow Feminized Cannabis Seeds by Lineage Genetics Seeds: White Widow is quite possibly the most well-known "modern" cannabis strain with the exception of Skunk #1. It was originally developed by Shantibaba when he was working with the Greenhouse Seed Co. 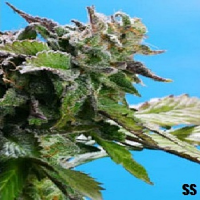 It is a 60% indica hybrid strain that is a cross of a Brazilian land-race sativa and a South Indian indica, most likely from the state of Kerala. White Widow got its name from the extensive production of trichomes whose exuded resin takes on a glistening, white sheen. 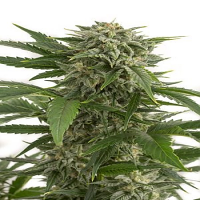 It is a particular favourite in Europe, not only on account of its potency but also because it is resistant to colder climates, as well as mould infestations, producing well at higher latitudes. 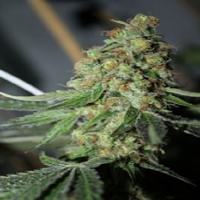 Indoors plants will take 8 weeks to flower giving yields in the region of 450 - 500 gr/m2. 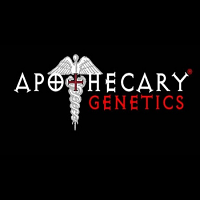 When cultivated outdoors each plant is capable of yielding 700 gr. or more with harvests being during September. 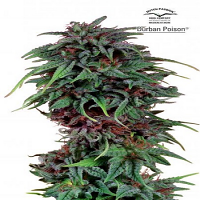 Plants grow to a medium height and it should be noted that this strain is a good choice for greenhouse cultivation. The smoke of White Widow is very smooth. Its production of THC is 21% with very low CBD at 0.04%. The effect is powerful and hard-hitting but evolves into a more physically relaxing stone.